Olympiad has been something freshman and seniors alike look forward to throughout its 25 years of existence, but no one seems to talks about the fashion and creativity that is behind it all. 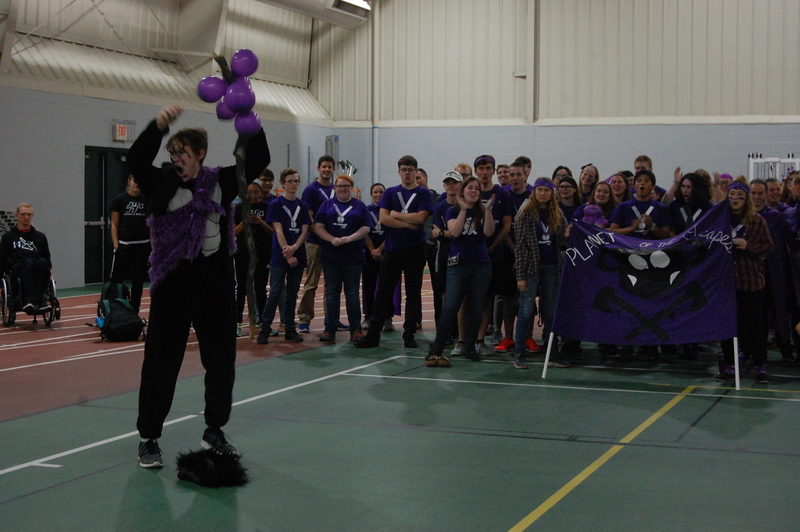 Olympiad XXV happened over one-long weekend, accompanied by screams, laughs and a competitive spirit that characterizes it and makes it so memorable. From the opening ceremonies that welcome students in costumes and loud cheering, to the beautiful and entertaining performances created for synchronized swimming. Olympiad has made itself a tradition on HU’s campus that will be difficult to erase. But behind all the events and the cheerfulness it brings, are the shirts and colors that divide each team and create a sense of identity among members. The Olympiad design for the year is determined by this vote and the colors are selected before the design is even created. SAB tries to find colors that will look good together and are easily accessible for students. SAB meditates on the decision over repeating colors, but they also know students will find their own ways to be creative and come up with something completely different from what other Olympiad teams have done with each color in the past. It’s a simple task that SAB has to go through, but it’s always exciting for them to see how each team manages to come up with a distinctive theme that will be remembered years later. For example, last year’s silver team came up with the theme of duck-tape, which SAB never would’ve thought of. This creative process has some filters to go through first. Team names go through SAB and then are approved or rejected. The idea of team colors started as a way to bring students together and to give them a joint identity. People with a competitive spirit, or even those shy, introverted ones will be pulled to join in cheering with those they see as teammates, and that identification is the shirt colors and other costumes students create.